Day two and we drove up from and we did a bit of the tourist things in Santa Barbara visited the Santa Barbara Old Mission. With some storm cloud brewing in the background we took a stroll only the beachfront and wondered out on Stearns Warf . First stop out of Santa Barbara was Solvang an incredibly kitsch Danish town in the middle of California, we think they getting a bit confused there was certainly some Dutch, German, Belgium mixture happing there. 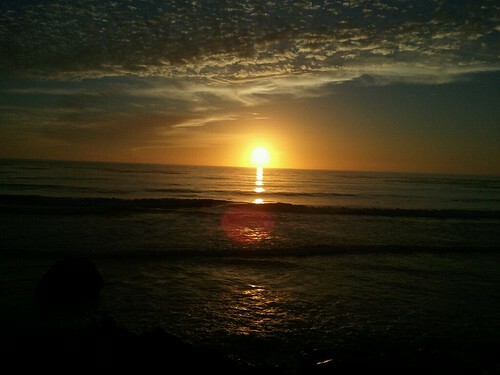 We finished up the Day at San Simeon on the coast with a great sunset.